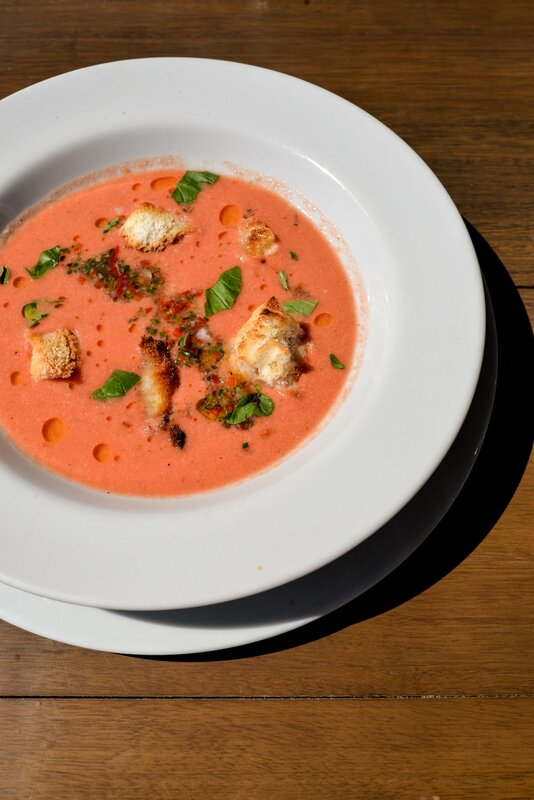 David and I love gazpacho and it’s been so warm in Argentina we’ve ordered it every chance we get. Having tried numerous versions we were wowed by the gazpacho we had at Francis Mallmann’s Restaurant, Siete Fuegos, in Uco Valley, Mendoza. It was so fresh, so zingy, so perfect that I begged for the recipe. And they kindly obliged. I thought there was charm in sharing the recipe exactly as they wrote it. I won’t have access to a well stocked kitchen for the foreseeable future, so testing it myself will have to wait. However, the instructions are very simple, so if you’re ready to put in the work to make the conversions you won’t be disappointed! See more from our visit to Siete Fuegos and the Vines of Mendoza here. 1. Prepare all ingredients, filtering in a Chinese strainer (without actually straining). SUBSCRIBE HERE for more tastes from our travels!